Use Axis Options 'Intervals creates a coloured section within a donut chart depending upon the month status value. The valid values are R, A, G or blank. Select X axis and display Format Axis dialog. 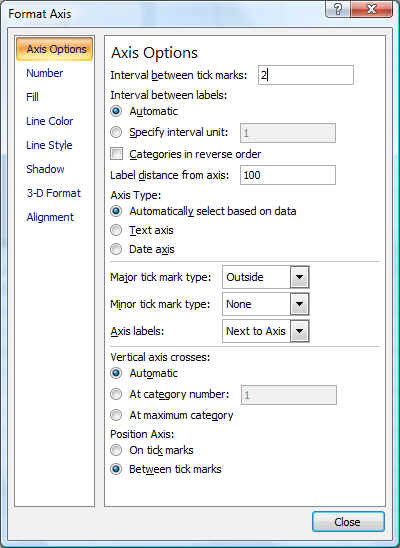 Within the Axis Options tab use the 'Interval between tick marks:' to determine major gridline spacing.